The dielectric, ferroelectric, and piezoelectric properties of ceramic materials of compositions (1 − x)[Pb0.91La0.09(Zr0.60Ti0.40)O3]–x[Pb(Mg1/3Nb2/3)O3], x = (0, 0.2, 0.4, 0.6, 0.8, and 1.0) were studied. The above compositions were prepared by mixing the individual Pb0.91La0.09(Zr0.60Ti0.40)O3 (PLZT) and Pb(Mg1/3Nb2/3)O3 (PMN) powders in order to design materials with different combination of piezo and dielectric properties. The powders were calcined at 850 °C for 4 h. The presence of various phases in the calcined powders was characterized by X-ray diffraction (XRD) technique. The compacts were prepared by uniaxial pressing and were sintered at 1250 °C for 2 h. The sintered compacts were electroded, poled at 2 kV/mm dc voltage and their dielectric, ferroelectric, and piezoelectric properties were measured. In general, it was observed that the dielectric constant, loss factor and the slimness of the ferroelectric curves increase with the PMN content while the remnant polarization, saturation polarization, and the coercive fields were decreased. It is now possible to design materials with a wide combination of d33, K, and loss factor by varying PLZT and PMN ratio. The authors are very grateful to Dr. S. Usha Devi for XRD patterns. 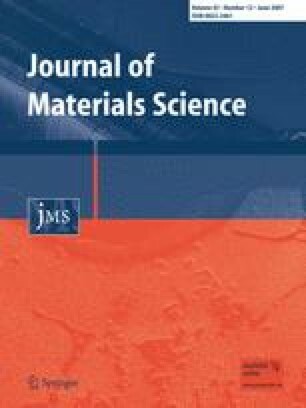 The authors also gratefully acknowledge Head, Materials Science Division and Director, NAL for providing necessary encouragement during the course of this study. One of the authors, Mr. B. Sahoo also thanks CSIR, New Delhi for the research fellowship.